A lesson plan is a detailed description of the individual lessons that a teacher plans to teach on a given day. A lesson plan is developed by a teacher to guide instruction throughout the day. It is a method of planning and preparation. 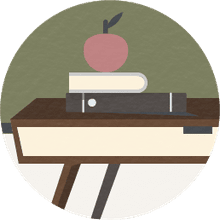 A lesson plan traditionally includes the name of the lesson, the date of the lesson, the objective the lesson focuses on, the materials that will be used, and a summary of all the activities that will be used. Furthermore, lesson plans provide a terrific set of guidelines for substitute teachers. Lesson plans are the teachers equivalent of a blueprint for a construction project. 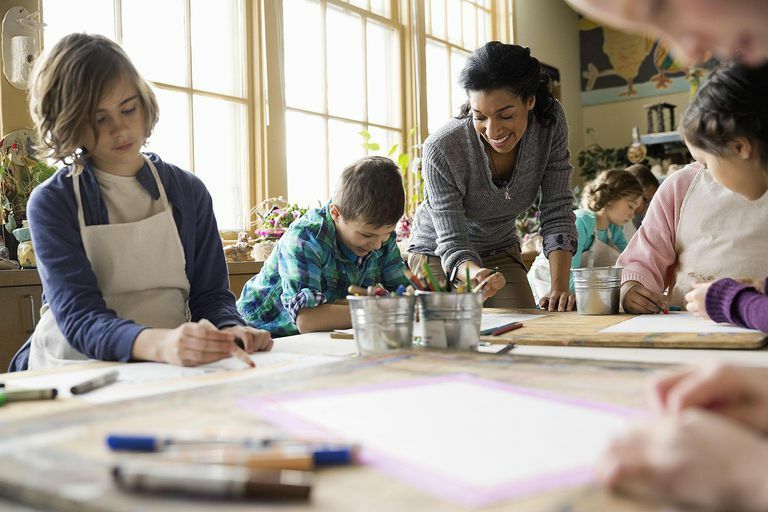 Unlike construction, where there is an architect, construction manager, and a myriad of construction workers involved, there is often only one teacher. They design lessons with a purpose and then use them to carry out the instruction to construct skilled, knowledgeable students. Lesson plans guide the daily, weekly, monthly, and yearly instruction within a classroom. Dynamic lesson planning is time-consuming, but effective teachers will tell you that it lays the foundation for student success. Teachers who fail to put in the proper time to plan accordingly short change themselves and their students. The time invested in lesson planning is well worth any investment as students are more engaged, classroom management is improved, and student learning naturally increases. Lesson planning is most effective when it is focused on the short-term while always being mindfully aware of the long term. Lesson planning must be sequential in building skills. Primary skills must be introduced first while eventually building to more complex skills. In addition, teachers should keep a tiered checklist allowing them to keep track of what skills have been introduced to give them guidance and direction. Lesson planning must be focused and tied to district and/or state standards. Standards simply give teachers a general idea of what is supposed to be taught. They are very broad in nature. Lessons plans must be more specialized, targeting specific skills, but also including the methodology for how those skills are introduced and taught. In lesson planning, how you teach the skills is as important to plan as the skills themselves. Lesson planning can serve as a running checklist for teachers to keep track of what and when standards and skills have been taught. Many teachers keep lesson plans organized in a binder or a digital portfolio that they are able to access and review at any time. A lesson plan should be an ever-shifting document that teacher is always looking to improve upon. No lesson plan should be viewed as perfect, but instead as something that can always be better. 1. Objectives - The objectives are the specific goals that the teacher wants students to obtain from the lesson. 2. Introduction/Attention Grabber - Every lesson should start with a component that introduces the topic in such a way that the audience is drawn in and wants more. 3. Delivery - This describes how the lesson will be taught and includes the specific skills students need to learn. 4. Guided Practice - Practice problems worked out with assistance from the teacher. 5. Independent Practice - Problems a student does on their own with little to no assistance. 6. Required Materials/Equipment - A list of materials and/or the technology needed to complete the lesson. 7. Assessment/Extension Activities - How the objectives will be assessed and a list of additional activities to continue to build on the stated objectives. teachers include opportunities for differentiated instruction. Varying instruction according to strengths and weaknesses is essential in today's classroom. Teachers must account for this in their planning to ensure that each student is getting what they need to grow. teachers create lessons plans that include cross-curricular themes. Components such as math and science may be taught in conjunction with one another. Art or music elements may be included in an English lesson. A central theme, such as "weather" may be used to across all content and curriculum. teachers work together to create lesson plans as a team. The melding of the minds can make lesson plans more effective and can save time for everyone involved.